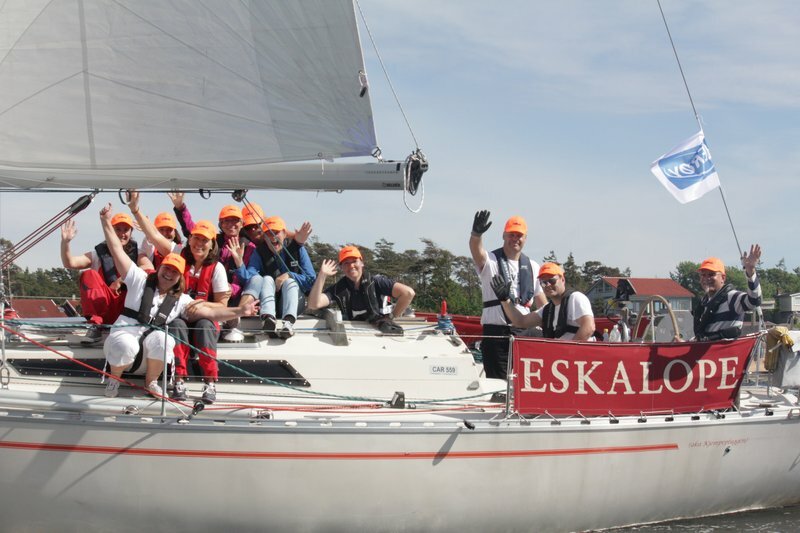 Eskalope is planning a one year blue water event around the North Atlantic, covering stops like the East Coast of Denmark, Kiel, Amsterdam and Brugge, Channel Islands, Bretagne, A Coruna, Bayona, Porto, Lisbon, Madeira, Canaries, Cape Verdes, Senegal, Venezuela (Orinoco), Caribbean, Azores, Ireland, Scotland and back to Norway. The main goal, however, is to pay a visit to the the humanitarian NGO “Avenir de l’Enfants” in Dakar, who aim to make life better for urban street children. So this voyage contains passages all the way from Norway to West Africa and further on, that crew may enter individually or for the whole distance. Captain is a sailing instructor, and holds norwegian D5LA certificate (like YM Ocean) plus RYA Yachtmaster Offshore with commercial endorsement, ROC, SSB etc. On demand, certain passages can be organised as sailing courses. For example, how about a 600 miles+ passage from Portsmouth to Bayona for the YM Ocean ticket? Either way, a friendly and cooperative personality is more important than sailing experience. The voyage will be continued in 2015, and we will end up in Norway some time in July. This part of the voyage has yet to be planned, but there will be more opportunities for crew space here. There will be a smaller passage fee involved in addition to shared expenses (food and drinks, mainly)to cover harbour fees and any extra expenses. Passage fee is negotiable depending on the passage. Although it has a few years and miles on it’s keel, we’ve worked hard to upgrade her to the best possible condition during the last five years. After a voyage across the North Sea, through the Caledonian, the Hebrides, Orkney and then back in 2009, we made some experiences that we based the improvements on. Most importantly, we changed everything above the deck. This means that the mast, boom, halyards, stays, sheets, sails and so on was brand new in 2013. Check Voyage plan for info on our updated schedule. Check http://blog.mailasail.com/eskalope for latest position report and blog entries. Check http://www.marinetraffic.com/no/ais/details/ships/257794340/vessel:ESKALOPE for latest AIS position.